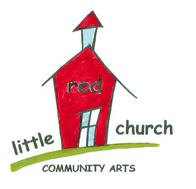 What's Shakin' at the Little RED Church? Drop-in Workshop - 7-8 pm. Dance to all styles - 8-9 pm. No partners or experience needed. Fung Loy Kok Taoist Tai Chi teaches a form of tai chi that is made up of 108 movements that promotes wholistic health for it's practitioners. Our goal is that you feel balanced and comfortable and that you have fun in our classes. Click here. Drop-ins welcome as well punch-cards available for these sessions. If you're having a public shin dig and want the world to know, we'll shout it from the steeple top! Well ... we won't actually climb the roof, but we'll post it on the Little RED Church website and that's basically the same thing!